My mother-in-law has a cell tower in rural Tennessee managed by communications enhancement (CEI). She gets $1500.00 a month rental income on the tower and CEI can add carriers and she does not see any additional money from these additions. The rent increases about 5% every 5 years or so. We have an offer from Unison Site Management to give us $100,000 cash for the site with the promise that if any new carriers are added to the site we split the rental income with them 50/50 for each additional carriers. Obviously this sounds like s good deal compared to $1500.00 a month. Are we getting scammed and have you heard of Unison Site Management as a "scam company". Looks like Unison is no longer in the cell tower lease buyout business. There is a very reputable Site Management company I have dealt with (Towerpoint Capital). This guy (David, Cincinnati) was totally transparent about what we's be getting into. These, we think, are very good deals for most in today's market with all the changes & smaller equipment coming, etc. Check it out. We manage three towers, and in my opinion UNISON is the WORST people to do business with there is in the cell tower business. My suggestion, call your current cell tower people for a bid to see if they are interested. If not, get ANYONE else other than Unison. P.S. we are real estate developers, and have the least amount of dealing with cell tower people as possible. But, we do own the land under a few towers, so we have to deal with them from time to time. This is where our experience comes from. I'm working with a huge, top tier company in developing towers and purchasing sites. If you need expertise in all telecom matters, I'm YOUR guy! We offer a competitive advantage because we actually develop sites. Editor's Note: Sorry Telecom Guy... But we moderated your phone number again. I give you credit for trying. You see, unless you want to have a paid advertisement, you are never going to get your name out there on our blog. 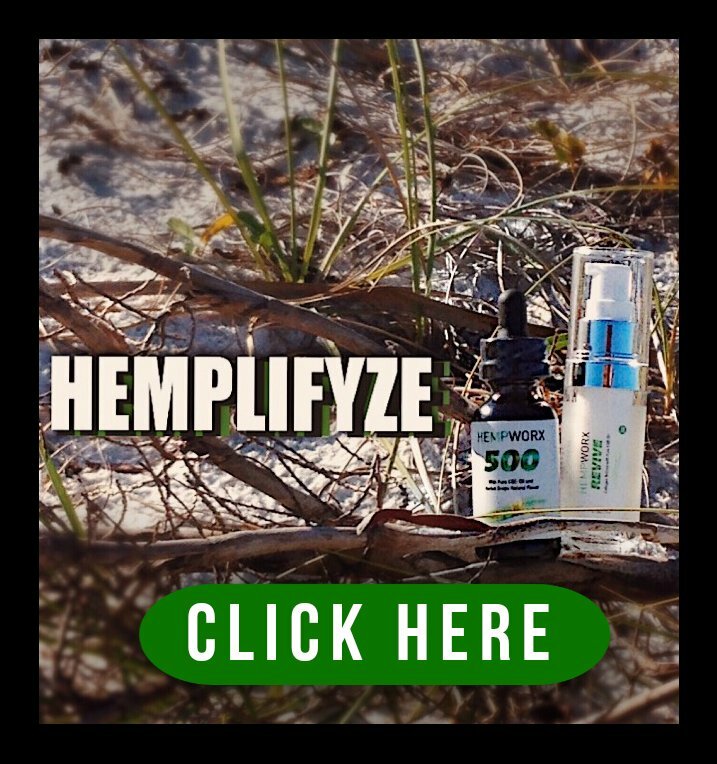 We worked really hard for about 8 years on this website to get tens and tens of thousands of visitors a month, and over a 100,000++ pages downloaded every month. You can go and start a blog and have people call you. That's fine. Or if you are like a lot of my competitors you can pay Google about $10 per click for the keyword "cell tower lease" to be in the #1 top listing on their ads to have your ad come up next to our page. Need advise in the near future regarding most honest tower organization advisor. 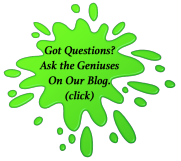 Editor's Note: Goo goo... Not to toot our own horn, but we would have to say you need to call us at Tower Genius 888-313-9750. I got an offer from Landmark for a one time buy out and 50/50 split on revenue share beyond existing revenue. Is this a scam, will I ever see money from the 50/50? Other companies have tried to contact me as well but none with the 50/50. If you want the money and run... then take the deal. Just remember once you sign everything in the future is in their hands and you have no control. True sight management is more than paper work! It's years of industry experience that begins when the agreement is signed till the day it expires. This includes being on site during installations to make sure it is installed correctly and safely. One accident could cause you to loose the farm, depending on the attorney. There are just as many ripoff installation crews as there are ripoff management companies. I have been in the industry since 1976 and it has only gotten worse. Every new company promises the world and rarely if ever delivers. Everyone wants a tower on their land. But the truth is they should go in debt and build the tower themselves. You maintain control, Hire an attorney and do it right. No real money was spent in any of their pursuits. This is a greedy society. Everyone wants it for free. So do the site management companies. Leaving on a last word.. If you go forward contact a lawyer in the industry before you sign anything! I closed with Unison several years ago and before I selected a company I did my research. Unison was the only company that truly made me feel comfortable about the industry and Unison's plans for the future. Several month after we closed, Unison entered into a new ground lease with AT&T and I now collect more rent they I did before. I have read all this bad press and it sounds like may of Unison competitors are writing it to try to take your business. Unison is straight forward and experiences and has the sites best interest at heart. I would recommend to anyone that wants to see their site grow and receive a fair offer to consider Unison. Cori (Mt. Pleasant, TN, USA) DON'T DO IT. It's a Horrible deal. What are you thinking? $1,500 per month is $18,000 per year. 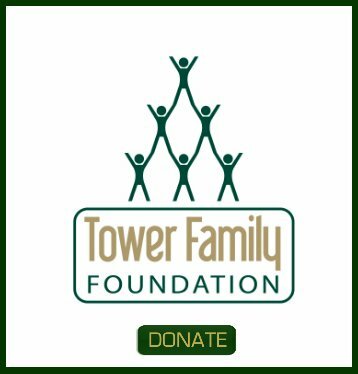 if you get $100,000 now, you have just given up Hundreds of THOUSANDS OF DOLLARS in future rent that THEY GET for the tower. You won't get any more. They are paying their investment to you in LESS THAN SIX (6) Years. You bank might loan you $100,000 for a payback that short. Heck I'll buy it. It would be one of the best investments I have. by: Towers r Real Estate Deals! These are all Real Estate Deals ! ! ! DON'T have a lawyer make your business deal. Have them protect your rights in a contract. PERIOD. They make lousy business people and get PAID BY THE HOUR by you! So, they want to "negotiate for you" Don't let them! Towers are Industrial or Commercial Real Estate deals. REAL ESTATE DEALS ! ! ! ! We have several pieces of land with towers, and everybody who is buying "tower Leases" wants them. For those of you who don't do this much, here is what is really happening with THE LEASE AND REAL ESTATE that YOU OWN. Fact: The buyer is "buying" your future rental income for a fixed amount of money paid to you in advance. This includes everything included in the original lease and maybe something else depending on what you sign. This includes the easement and any and all future rent payments. Fact: Quantity of leases and The easements are what ALL these buyers want. Unison/American, Landmark, Telecom, Advance, etc, etc. WE USE NONE OF THEM. They are ALL buyers of paper and LAND RIGHTS. Yes, Land rights. By re-selling your "Rent Rights" to ANYONE, you also sell and give to them the Land Easement they want, and that is where the extra money will come from. They now own the control of this and ALL PROPERTY under the easement, your property, via the easement. What's it worth if you ever want to develop your land ? ? ? What's it worth if you want to "move the drive to the tower to the other side of the Tower ? ? ? What's it worth if you want to put a house or garage or whatever on your driveway and have them use the other driveway to get to the tower ? ? ? RE-LOCATE the EASEMENT and give them another way to access the Tower. Make no mistake. It's a numbers game and Real Estate gamble and you will loose unless you think about the LAND First. They are paying you now for the future earnings of the tower's Rent, AND betting on someone needing THEIR easement rights. This gives the new Tower people ALL the money to your LAND just for granting access to whatever they have on YOUR LAND. If you really need the money NOW. At least ask your current carrier how much they will pay you for a buy out of the Lease. It can't hurt. You know them now, they pay you now, might as well ask. Final thought and why we don't do it: Their is NO incentive for ANY of these guys to "share possible tower rent" with you. It won't or is very unlikely to happen. WHY, They don't own the Tower. They can't put anything on it without the current Tower peoples permission. THEY DON'T OWN THE TOWER. The Tower people do, and they can't put anything on it without the Tower people selling them the rights. YOU GET NOTHING. It's all about MONEY and who controls the land. Good luck. Remember: these vultures are not wasting their time calling you unless they can make money from you. p.s. There is one guarantee. The salesmen who call you are telemarketers and paid by commission. They will NOT be there once you sign anything, and what they said does not matter, what you sign does. Don't sign anything without real good advise, and a lawyer is not the one to ask. Editor's Note: Thank you for your passionate post. We value your opinion. I sold my leaselast year to TowerPoint capital in a "buy-in". They put AT&T on my tower 3 months l;ater and doubled my money. i said "shoot, get me three more carriers if you can" the partner rep I deal with is real nice and I just feel bad when I read these awful reviews. There are some straight schisters out there. Guess I got lucky. I read the post from the poor old people. I have a worse horror story. A friend of mine sold their site to Unison, they sold it to a tower company. The tower company came in and put up garish antennas and buildings. The city came in and rezoned the property commercial so the 5 acres of land that my friend was planning on putting 5 houses on was then useless for his intended purpose. There is only one company that does not sell their towers, AP Wireless. We have a cell tower on our property since 2006 put there by Cricket, we were very satisfied with them and the price they were paying us, $1000.00 a month. A couple of years later 2006, we were approached by a representative of Unison, John, he was a great salesman, he told us what they were giving us as a buy out, it did sound good and was much more than we were getting from Cricket, we even took everything to a lawyer, he told us there were some things he didn't like so we would talk with John, he assured us not to worry Unison would never take us, they were a very good company or he would never work for one that wasn't. My husband and I are older and with my husband's health we thought this was a God send, were we wrong!!! It wasn't long before they sold to Global Towers, then we see a sign that says American Towers on our gate, it's been 5 years and spring of this year 2014 we saw men back at the cell tower and learn that AT&T is putting service on. I called the phone number on the sign and ask about us getting the 50-50 that Unison promised us every time a new service went up, was told no we did not and was not very nice, the only way we will get anything if it goes outside the fence which they do not own, we took our Unison contract to a lawyer only to find out that when Unison sold, the 50-50 in the contract that they promised us did not go with the new owner. What a scam, now we have a big lawyer fee and will not receive a dime but was told they have the right to come onto our farm and do what ever they want in and around the tower because they own it. I knew not long after we signed the contract John would not answer our calls or emails and was told he was no longer with them, would like very much for everyone to know how we got suckered in by a fast talking guy, hope he can live with himself! Unison has sent me numerous letters. I have replied twice by mail telling them I a not selling my real estate that Crown Castle recently took over the ownership of the tower on it. I purposely did not give them my phone number so they would not pester me. Now they have gotten my landline and cell number. I am not sure how since they are unpublished. I have not talked to them. But what does it take to make them understand what "no" means? Sounds to me like there are good and bad deals with all companies but some are probably better than MOST ! I have a tower on my property which originated as Voice stream, then went to T mobile, Unison contacted me to purchase the option for a lump sum, and offered me 75/25 for additional carriers, I went for it, Unison then went from the original lease to making their own easements not in the original lease, snuck it in at closing, I caught it, the representative from Unison told me in front of my bank notary that it would be fixed prior to filing with the county, IT WAS NOT. Not only that they immediately filed the wrong paperwork, and sold it to American, now through this blog am finding out that American and Unison are the same. Unison changed the survey from the original tower lease to include easement on my entire 15 acres (the original was 600 sq ft) and also included 20 acres that is not even adjoining the property just because my name was on the property, so now according to records Unison Now American tower has easement on not only the original 600 sq FT but 15.1 acres and another piece of property that I sold 4 years prior to but on a contract for deed of 20 acres, when I found out I contacted Unison to fix it, they told me "we dont own it we sold it to american" contacted american they said "you signed it tough", had a lawyer contact american, they said write a synopsys of the events and we will let you know, its been almost a year. STILL NOTHING FROM ANYONE. Bottom line DO NOT DEAL WITH UNISON. I was also told from a former Unison employee that regardless of what they offer you in split on additional carriers, they will not actively seek new carriers. so with Unison they not only want the original lease, lets say 600 sq ft, they want an additional 10 ft around the par. thats so they can put someone else on the tower without having to pay the original tower lease company for using their property, but they could recoup the gain by adding to the tower leasing, BUT THEY WILL NOT SEEK ADDITIONAL CARRIERS. so if they are offering you a split, its a scam, they wont look, they will wait for someone to come to them, but in the meantime, they will sell to someone else and your still out. I am still waiting for Unison or American to fix their screw ups. I have an offer from landmark .. just received a call from unison..which is the most credible company..
Editor's Note: McDonald's or Wendy's? Pepsi or Coke? US Dollar or Toilet Paper? Give us a call. Like other people posting on this page I to was approched by unison last fall. Pretty much the same terms as i have read on this page. Lump sum and 50\50. My sight was put online in march of 2010 and so far i have had 4 lump sum offers not counting unison. Unison is only one offering 50\50. My cell site is a nice little cash cow and it will not make or break me. Skyway towers owened it at first, but Dec of 12 i was notified that American Towers bought it. I did not know that american towers and Unison are one in the same though. Interesting. The postings on here confirm some of my concerns and i found them helpful. Thanks. I'm going to throw my two cents in here...I happen to have a tower on my property and we are considering selling it, however we have been entertaining offers that are in the $500K range so $100K seems crazy low to me. I would not consider selling the lease until you have contacted a few attorney's who can tell you what your best case scenerio would be. Once you sell the tower the fat lady has sung and you are out of the game! My Mother owns the site of a US Cellular tower. We're being pressured by Unison to sell. We're reluctant to do so, but It has come to our attention that US Cellular has been bought out by Sprint. What could this mean for the fate of the tower? To "I would not sell". All, or at least those big enough sell a portion of their portfolio's to investors. Banks do the same and have for eons. Thats how companies make money. They can sell the leases for more than we can because of volume. I can not sell my one lease to large investors. To much risk to them. Some of the investors buying just so hapen to be tower companies. Public information Unison sold some of their portfolio to American Tower and WCP sold some of theirs to Crown Castle. In my opinion, If the tower on my property is eventually sold to American Tower or Crown Castle I am belter off in the future. Both companies are huge. Chances of new tenants increase. If they come to me for more space their pockets are deep. Oh, and check who the investors are. Last I looked Goldman is not an investor to Unison. I have been in this business for many years. I have heard many things. I have seen many companies come and go and all with their own take on taxes, rent sharing, easements, lease assignments and so on. I maybe partial however, providing a landlord has good money management skills and investment strategies, the benefits of selling a wireless lease far our weigh keeping the monthly rent. Sorting out what company is best can be daunting. Different companies offer different products. In the spirit of “equal time”, any folks that would like to understand if an easement (Cap Gains, 1031 Exchange tax deferred or No Tax Rule), a lease assignment or a pay over time rent guarantee is right for you or just to ask, “Why do you guys buy these and how do you make money?” Please contact Craig Bloomingdale @ Unisonsite.com . We can also advise if rent sharing on new or current tenants would be a reality. Rule of Thumb "Get Reference Letters", real ones! There are many companies out there as I have seen letters that come from all of them. The experiences I have had range in people being dribble mouthed about other companies or being highly respectable. At the end of the day, CPA said the only true way to get value and a lower tax rate (from gains) was to do an easement which I was against initially as I heard from these companies that it was not good. I checked and it was good for me, especially tax wise. Apprarently it is the only way to get capital gain treatment without inviting problems or potential problems. I know Unison is the one who has been around the longest and has proven this to me and for me. Just my opinion. Which tower companies does Unison work with? I signed a deal with Landmark for more money than Unison offered. Week and weeks went by and Landmark changed terms and price. I went back to Unison and the closed in no time. I got bait and switched by Landmark. I have just been offered a buy out totaling approx. 50% of my income from the current 20 yr lease that is one year old and has a 4% annual increase rate. Is this a fair offer? We were offered a cash lump sum which was about eight years worth of cell tower rental revenue and we were presented with the possibility of sharing half of future revenues on the tower if they can get us additional tenants like AT&T or Cricket. Don, if you don't have to sell the tower's revenue stream, then just say "no" or "thanks but no thanks" to the lease buyout sales person's offer to buy out your cell site lease rental stream. Aggressively approached by Unison to buy tower lease. Isn't this about the same as those companies that buy out "structured settlements" from lawsuits? People need money and want it NOW. If I am not needing or wanting a lump sum, and if I am quite satisfied to keep monthly payment as is, why should I sell my lease? Threats of removal of tower,(it's halfway into a 25 yr. lease), well I'll just take that chance. This location is probably impossible to approve future towers... a very fast growing upscale residential area. If tower comes down I can sell my property at a much higher price with that big-O tower gone, so I feel like I am in a win-win situation. Am I missing something? American Tower did not purchase Unison. Unison sold American Tower 1800 of their sites for $500M. Unison is a private company. Dear Anonymous... if you check all the way down at the beginning of this thread I made comments back on Feb. 23rd. What kind of information are you looking for? We aren't a website that dishes out dirt on other companies, and when others post negative comments, we edit them out. I can tell you from readily available public information that Unison was purchased in 2011 by American Tower Corporation. American Tower is a public company on the New York Stock Exchange. All of this information is available online. If you have other questions specific to your offer, you call call us at 888-313-9750. I am not looking for additional offers. I am looking for information on Unison. Thank you for your response. Yes, I have. Feel free to give me a call, Steve @ Landmark 248-760-8722. My name is Steve Durand and I work for Landmark Dividend. I would like to make an offer on your mother-in-law's cell tower. Our price and terms will be much better then what Unison is currently/will offer. EDITOR'S NOTE: Mr. Durand, if you are successful in purchasing this visitor's lease please send us a $300 coupon from Allen Brothers steaks. Your friends at Tower Genius. Please contact me regarding your lease below. I cut and pasted your ad to here. Please contact me at your earliest convenience. I will give you a good deal with easy closing and terms. 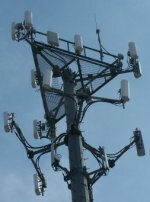 Hello, I am seeking advice &/or buyout of my (AT&T) FAIRMOUNT (Indiana) 851 cell tower lease (on I-69). I currently receive $9,522 annually and it incrementally increases through Dec. 4, 2096. (1st Extension: $14,481.78 annually; 2nd Extension: $16,654.05 annually; 3rd Extension: $19,152.15 annually; 4th Extension: $22,024.98; 5th Extension: $25,328.72). Editor's Note: Tim from Landmark... you realize that if you are able to buy Larry's lease because he sees this blog posting you owe us 2 steaks at Ruth's Chris, right? I will only comment on the lease my family has with a cell company. Our contract does not allow for more compensation if more antennas are added to the tower. The contract is bound to the site. It short it means that even if the land is sold the new owner has to abide by the same contract. My suggestion is to have a lawyer look at the contract and explain any parts you need clarification. It may be that the person/company that buys your lease will not be able to get more compensation for you. Be careful with Unison. They are reputable depending upon who you speak to. They market approximately 3% of their towers so don't listen to the BS saying they will be bringing new tenants to the tower once they buy the lease. It's rarely the case. Oh, they'll provide references from people who have received additional income from Unison but it's a drop in the OCEAN compared to what they advertise. Also, they work directly with the tower companies behind the Site Owners back in order to low ball the owner and have been known to back out of a deal all together so that the Tower Company can buy back the lease at a lower price. In turn, the tower companies will back out of deals that Unison wants. It's a very slippery industry. I mean. Goldman Sachs is a portfolio investor of theirs so the deck HAS to be stacked against you. Right? In all fairness to Unison, can you back up your statements about the ALLEGED price fixing and Cell Site Marketing program you are talking about? Are you working for a competitor or a former employee? A site manager approached my grandparents from unison. they were 89 & 90 at the time. among other things, the contract bought out their rights to receive a monthly payment from the original tower company. after having a lawyer look at the document after the fact, it looks like they really got screwed! what bothers me is that the site manager/salesman promised them 1/3 of what ever $$$ comes from dishes they put on the tower - but i don't have any documents supporting this. is there anything we can do? We would be interested in making an offer on your Mother in-law's lease. The more offers she has in front of her, the more informed she will be. You are getting ripped off! Take it from a person who worked for Unison for 5 years, they do not market. Its a _ _ _ _, its just a way to get 50% of money that is owed to you by doing nothing. Never ever take a 50/50 split from them! Just so you know they have offered many people very recently 60/40, 70/30 splits, so it should show you they are ripping you off. Also I don't know who your carrier is, but that is a 66x multiple of your current rent. In most cases unison will offer people 90x, so this guy is really trying to screw you. If you want more help post a way to contact you and i'll be in touch. Sorry I had to moderate your strongly worded comments and tone it down a bit. We can't bash one company or another here. Hope you understand. Also since I know that there are several competing lease buyout company reps who have posted here, if you want to post an "ad" here, my kids like Outback Steakhouse and Red Lobster. We can work something out I'm sure. I don't know about Unison, but I just completed a transaction with Telecom Lease Advisors and and they paid me way more than that. Here's their website: www.tladv.com They were very professional and easy to deal with, too! Cori thanks for the question. To answer the second half of your question first... Unison is a reputable company with strong financial backing. They are very aggressive and they close a lot of deals. With that being said, there are other options available to you. The offer on it's face does not appear to be their best offer - remember you are dealing with a sales person trying to earn a nice commission.. nothing wrong with that of course. You should also get some tax advice before you commit to any offers. Look for my email.